I’m really enjoying working on my new (refurbed) 15″ chromebook I got from Acer for just $150. First thing I did was add the developer version of linux using the Crouton setup. Google did an excellent job designing a very lightweight OS–and I am running a linux virtual OS with it, and it works fine for my current learning of laravel (a php framework on steroids) and web design. 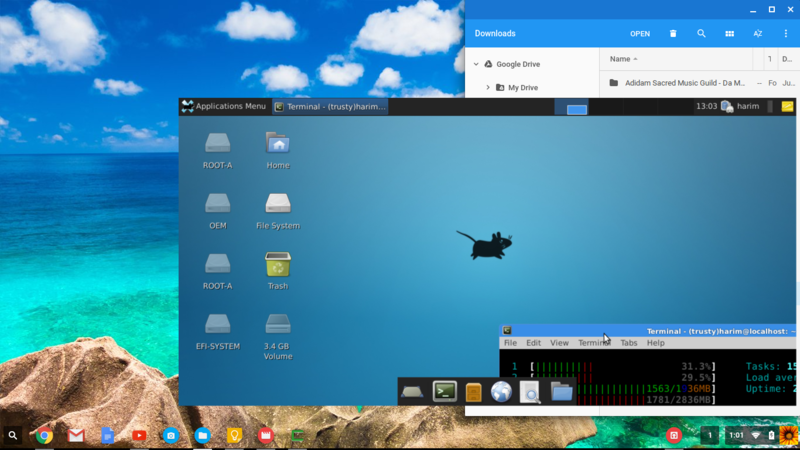 Another little project: I also just loaded the latest version of linux (16.04, xfce) on an old dual-core system, and it runs using only 300 megs of ram on a base system. I put in an SSD disk to boot off, and it’s ready to run in about 5 seconds–and runs really smooth! SSDs are ideal to boot off, and then you just add an extra hard drive for additional storage look these up. 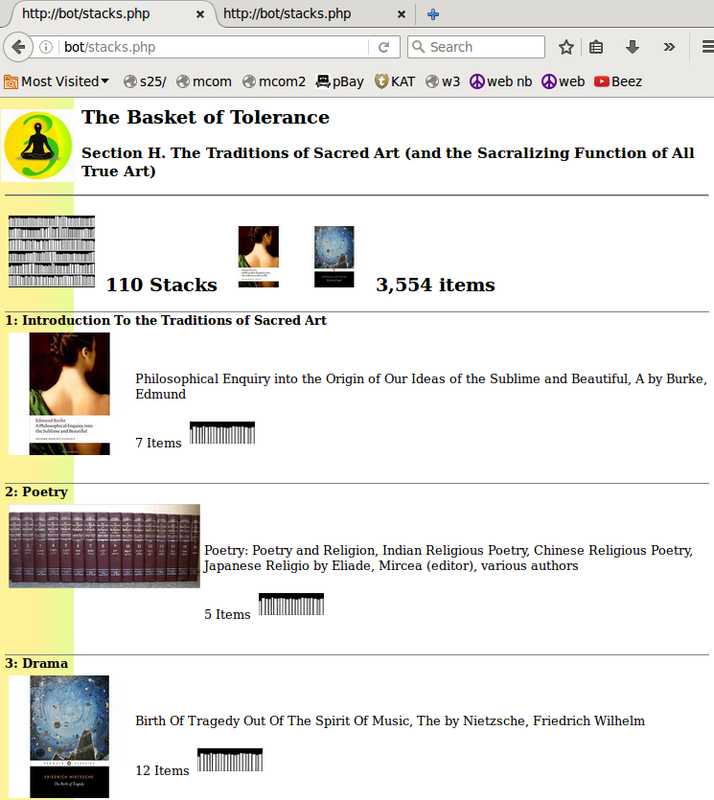 The Basket of Tolerance, by Adi Da, is a book with 3 bibliographies, about 16,000 items, mostly books, with CDs and videos too. I’m working on how to access it so it’s visually interesting, and not just a thick telephone book of lists. Apart from book sellers and scholars, such a book/website won’t appeal to most people. Most people are interested in a certain topics. I want to make a top level dive into wherever, and back again, but to also show the context of the stages of life, such that if a person gets curious, she can find and read more about the seven stages of life, and Adi Da. The featured image above is a template for looking at all the items in a section of The Basket of Tolerance. This section I’ve divided into 110 stacks, which contain 3,554 items. The list of titles & authors alone, without any pictures, goes for 101 pages at 12 point text. I want something more like ~25 pages of abbreviated info, with pictures, so a person can see an area of interest, then click on that to get a wall of books/CDs/videos on a particular topic.